The Great Luxury Warehouse Sale is back, and is happening on November 15-17, 2018 at the FMF Building, Pioneer Street in Mandaluyong City! 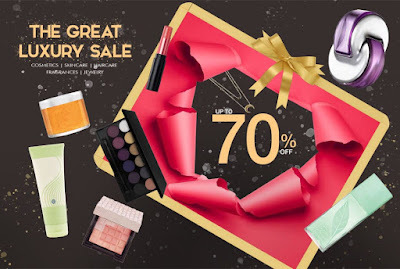 Enjoy up to 70% OFF on your favorite luxury fragrances, skin care, cosmetics, hair care brands; and fashion jewelry! Credit cards accepted as payment option.